Every hour another person in the UK goes blind. There are currently 360,000 people in the UK who are registered blind or partially sighted. 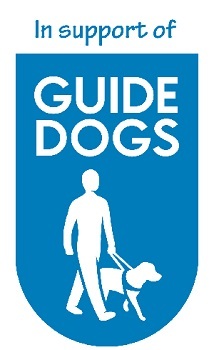 There are 5000 partnerships in the UK between a visually impaired person and a guide dog, with a further waiting list of approximately 750 people. Each of these partnerships costs £56,000 and with virtually no government funding, Guide Dogs rely on the support and the generosity of the general public and volunteers, to continue the amazing work that we do. At a more local level, we train approximately 40 new guide dogs in the Leeds area, and support 170 partnerships. Our highly trained and loving dogs help people with simple everyday tasks that so many of us take for granted. With a guide dog by their side, mums with sight loss can walk their children safely to school. Teenagers who have always had to be guided can finally take those important first steps of independence and go shopping on their own for the very first time, or leave home for University. For the many elderly members of our community, whose sight has significantly deteriorated, they can get out and about and engage in society rather than being trapped in their homes alone. Since 1931, our iconic guide dog services have transformed the lives of thousands of people living with sight loss, allowing them to lead full, independent lives. 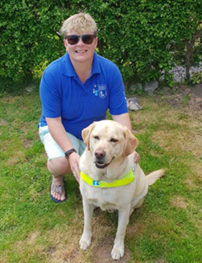 In the words of Helen, a local Guide Dog owner in Wetherby, she explains how having a guide dog has changed not only her life, but her families as well. “When I lost my sight four years ago, I felt lost. I lost my independence, my confidence and my sense of adventure. My life was put on pause. I continued to care for my children and get by day-to-day, but I stopped enjoying my life. Then I met and was matched with Yuppi. We trained, qualified and became a partnership. With Yuppi by my side I can adventure again, I can do anything! He has given my children back their real mum, and he has given me my life back.